Kolkata Knight Riders team co-owner Shah Rukh Khan has hailed Andre Russel and the teammates for their emphatic display against Royal Challengers Bangalore. 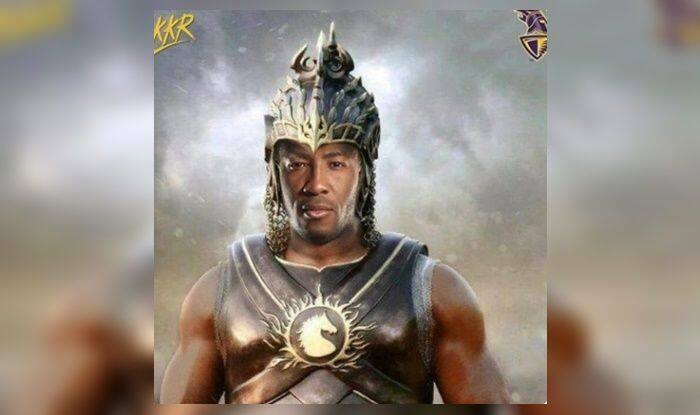 Kolkata Knight Riders co-owner Shah Rukh Khan has hailed his side and talisman Andre Russell after the team’s emphatic victory against Royal Challengers Bangalore at the Chinnaswamy stadium in Bangalore on Friday. Snatching the victory from the jaws of defeat, KKR was aided by the heroics of Russell who hit an impressive knock of 13-ball 48. In what was a staggering effort, he hit seven sixes leaving the fans, opposition and the pundits in awe. The victory came at the cost of Virat Kohli-led Royal Challengers Banglore’s misery as they were inflicted with their fifth consecutive defeat. The Carrebian batsman, whose stunning performance took the internet by storm, came out to bat with KKR needing 67 off 26 balls. Skipper Dinesh Karthik (19) got out in the next over and in the last three overs, the away side needed 53 runs off 18 balls. KKR posted 206/5, their highest run-chase in IPL history. RCB, thus, remained winless after five games.